The group enjoys a wonderful breakfast at the Crossed Swords Inn. 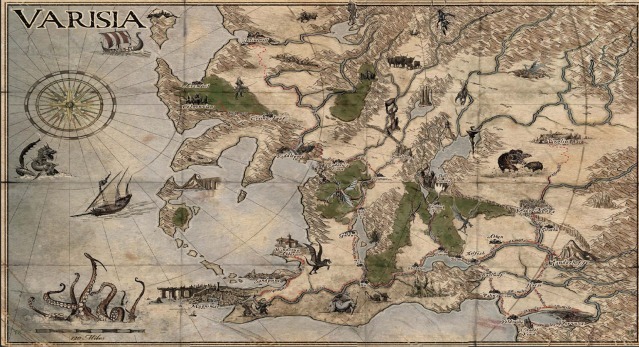 Daellin and Thim enter into a conversation with a group of Elves also staying at the Inn and excuse themselves from the group to visit with their kinfolk. The rest of the group is summoned by their new friend Berthold, the Master of Beasts of the Umbra Carnival currently encamped just outside Ilsurian. He tells them the Master of the Carnival, Almara Delisen, has asked them to come meet with her. She has a proposition for them. When they arrive at the Carnival, they see it has not opened yet for the day and the workers are all busy preparing for the day. They are taken to see Almara at her private wagon residence at the back of the carnival. She greets them cheerfully but then quickly changes demeanor as she explains to them that there have been a murder in town and one of her circus performers has been implicated. She is adamant about the innocence of her performer as she gives the few details she knows. She says that a local citizen was found murdered in town last night, apparently on his way back from the carnival, and he bore wounds that resembled those that could have been delivered by Jherizhana the Sphinx. She offers the group 300 gold (3000$) if they can figure out who the real killer is and absolve the Carnival. She explains that the group is in a unique position to help as capable outsiders and she trusts that they can help her and her group of outcasts clear their name. The group agrees and she gives them a signed statement showing they are working on behalf of the Carnival as outside investigators. She encourages them to seek out the sheriff in town, whom she believes wants to see justice served, but recognizes that she will no doubt keep the town’s best interest at the forefront of her investigation. The group seeks Sheriff Feldane out at the town jail and learn some more information about the crime. The victim was named Archivin Walder, a local moneylender and pawnbroker. He was killed on a path near his own home and his wounds appeared to be caused by a large, clawed beast. Several clawed footprints were found near his body as well. The sheriff says she has hears several reports of townsfolk seeing the sphinx flying over the town late last night, though none of these stories have been corroborated as of yet. She also tells them of a second, connected, murder, of one of Walder’s guards at his place of business, the Locked Box. The Sheriff explains that Walder’s wife, Agnes, became worried when her husband did not return from the carnival at an appropriate time and went looking for him. She found him on the path in a wooded area between their home and the carnival. Distraught and fearful, she rushed back to the Locked Box and enlisted three of Walder’s four guards to come help her. When they returned to the Locked Box with Walder’s body, they found the fourth guard dead and the building burglarized. Two humanoid forms were seen fleeing the scene. The guards then secured the building and called for the sheriff. Agnes returned home with one of the guards staying with her and the other two at the Locked Box. The Sheriff accompanies the the group to the scene of the Walder’s murder and what she told them seems to check out upon initial investigation, but on a closer look, it is clear that there were some tracks that had been brushed aside at the scene, though what those tracks were, it is not clear. Kallin used his spirit magic to detect the spirit of a young Human girl named Kelly nearby. She mistook him for her Papa and was quite happy to see him. He conversed with her momentarily but soon realized that she knew nothing of the incident and let her go about her way. Calina was able to determine that the clawed tracks did not seem to be deep enough in the ground to indicate a beast as heavy as the Sphinx sure had to be. The Sheriff absorbed all of this new information and seemed agreeable that the Sphinx may not be the culprit after all. Next, Sheriff Feldane took the group to the Locked Box to do some searching around there and to question the guards and the widow Walder. One of the guards allowed them entrance to the building and showed them the damage that had been done in the shower room. Broken glass display cases and lots of merchandise scattered with clearly some missing. It is thought that the thieves had been working with whoever killed Mister Walder because there were no signs of forced entry on the stout front doors and Walder’s master key was not on his body. The room was searched while Mrs. Walder was summoned from the office. She greeted the group, though somewhat coldly to Calina, noting she was a Varisian. She explained that she believed that it was somehow her fault he had been killed since she did not go to the Carnival with him. She says she could not bear the thought of him “ogling that bare chested beast” and thinks if she had gone with him, somehow things would have been different. She answers all the questions the group has for her and while several things seem to have valuable information, nothing stands out as a definite motive for the vicious murder and robbery. Alistar notices a small spot of blood on the corner of one of the display cases and a matching spot on the handle of the door leading to the vault. Agnes and the guards both believed that the vault had not been touched in the attempt because the guards had returned too quickly and the perpetrators were already fleeing the building but the blood on the door prompts an investigation of the vault below. Agnes explains that there is a pit trap below designed to catch thieves on their way out of the vault and tells them she will disarm it so they are not caught in it. The vault appears to be unlooted but in the course of the investigation, Samad discovers a strange being hiding in the corner. The woman, a Skulk named Zahkar, is covered in skin that changes color to blend in what whatever she is standing up against. She seems to be acting strange and her eyes seem to be continually dilating open and closed. She trembles and speaks in an almost slurred speech pattern but freely admits that she had been sent there to rob the place. 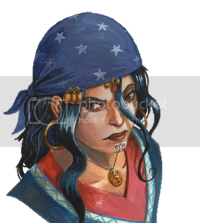 She says her and three companion Skulks and come there, with the key, and were there to rob the place quickly and with as much loot as they could carry. Her and another Skulk decided to try to loot the underground vault but she ended up getting trapped in the room when the other Skulk left. Her companion, Rogi, is soon found trapped beneath the floor in the pit trap Walder had installed in his vault. They both act in a similar, distracted way and say that they were working for two other Skulks that have work with “some Humans” from town. They know nothing of who or why they were sent to rob the place and knew nothing of the murder of Archivin Walder, but matter of factly admit to killing the guard. They explain that their tribe of Skulks lives nearby, a few miles outside of town, and sometimes do work contracted by the two Skulks that fled the scene the night before. The Sheriff is happy to have them in custody but it is suggested that one of the Skulks lead the party to where the tribe lairs to see if they can get any further information about who hired them. The Sheriff agrees to send Constable Byron along to keep an eye on the prisoner. The group leaves a note for Daellin and Thim, in case they return, then head out of town for a quick hike to the Skulk’s lair. They find it easily and approach with no problem. They find one sleeping guard and a small cave filled with about 7 other Skulks. It is then discovered that the entire tribe are drug addicts. They are expecting a drug called shiver that is a highly addictive hallucinogen. The Constable says that there have been some cases of the drug in town, but it does not seem to be a widespread problem like it is in some other communities, especially cesspools like Korvosa. The group also realizes that the two specific Skulks they are looking for do not reside with the rest of the tribe in the cave, but instead live somewhere in town, though none of the Skulks are privy to where. The group returns to town and in the process of returning the prisoner to the jail, they see folks running both from and to the Carnival area with cries of “Those dirty Varisians are trying to rob us blind!” and “Get them!” Apparently a spate of pickpocketing at the carnival has sparked numerous confrontations between townsfolk and carnival workers. The party quickly intervenes in one of these incidents and Alistar uses his magic to send both sides fleeing the scene. As they wrap this up, they are drawn further into the Carnival grounds by a cry for help and soon find another murder has taken place, just moments ago, during the tumult of the parade grounds fighting. The body of a local priestess of Erastil is found mauled to death in the Sphinx’s tent, though the cage is locked and the creature is nowhere to be seen. 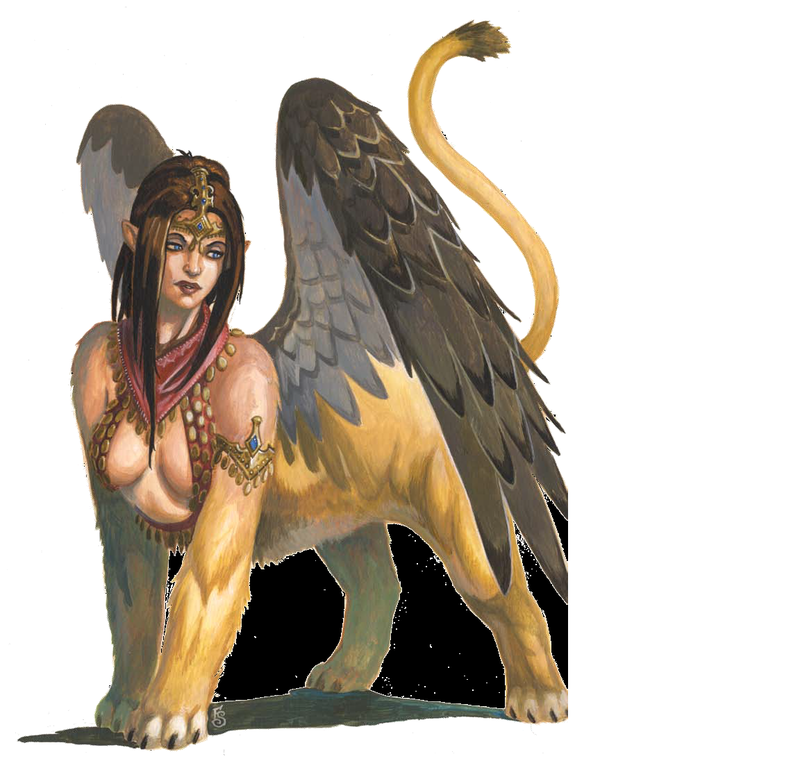 Almara arrives and is terrified at the thought of another murder, seemingly at the claws of her Sphinx. Again, she defends the innocence of Jherizhana and has one of her workers run to fetch the Sheriff. As the area is searched, a few clues are turned up while Kallin performs a lengthy spell to summon the spirit of the deceased. Samad seems to believe Almara in regards to the Sphinx and asks to speak to her privately outside. They return a few moments later and she says that she will take the group to the Sphinx and try to explain some more of the situation to them. She excuses herself and says she will send for them in a moment. Kallin then finishes his spell and summons the spirit of the priestess. She appears and explains that she came to the Carnival to try to talk to the Sphinx and try to figure out some way to work out the trouble that has been brewing between the town and the Carnival. When she entered the tent, she found it empty but before she could leave, she was somehow froze, paralyzed or held from behind and then felt her life ripped from her. She describes being unable to move or breathe momentarily before she died but is unsure of how or why that happened. Kallin thanks her and sends her on her way. Calina searches the room and finds absolutely no possible Sphinx tracks though does notice that one area of the back wall of the tent is unstaked at the bottom. Alistar uses his magic to make sure there are no invisible beings in the room and Kallin physically looks over the body, finding that in addition to her side being ripped out, there is also a small dark line across her throat, possibly like that of a garotte or thin rope wrapped around her neck. Berthold, the Master of Beasts, comes in and is horribly upset by the grisly murder scene. He takes the group to see Almara and Jherizhanain her private wagon. Almara reveals the Sphinx lounging comfortably in a bed of silken sheets and pillows. It is explained that Jherizhana is not just a performer but a part owner of the Carnival and Almara’s business partner. She joined the Umbra Carnival about a year and a half ago as a way to safely travel through “civilized" Human lands so she could study and interact with them. Jherizhana loves studying and learning about Humans and their cultures and customs and this was the best way she could move about freely. The Sphinx is terribly upset and distraught about the murders and possible implications is could cause for the carnival. Just then Sheriff Feldane arrives. Upon seeing the Sphinx uncaged, she goes for her weapon and begins shouting. Almara and Jherizhana, with help from the party, explain the whole situation to the Sheriff and emphasize the importance of keeping up the charade of the Sphinx for the sake of the carnival’s continued survival. Sheriff Feldane seems to understand but states that she has has to keep the best interests of the town at the forefront. She puts the Carnival under quarantine and says no carnival folk may go into Ilsurian and no townsfolk may come to the carnival grounds unto further notice. The sheriff also explains that she has to arrest someone or fears that things in town will get even further out of hand. Sheriff Feldane wants to take Jherizhana into custody but Almara refuses and instead surrenders herself into the sheriff's custody. As she is taken away she gives Berthold some quick instructions on how to handle the carnival and once again begs the group to solve these murders and bring the real culprits to justice, absolving the Carnival and easing the pain of the town. Finally, she reiterates the importance of keeping up the charade of the Sphinx. Two players missing, no worries, their characters wander off to talk with some fellow Elves they met at the inn last night. Probably out in the woods comparing leaf sizes or something.